Disney buys Lucasfilm for 4.05 billion. No, Hell hasn't frozen over and pigs aren't flying, however, when I first read this I thought it had to be some sort of prank, but soon after my first glimpse at this headline, more and more headlines with the same tale started popping up everywhere. You can read the press release for yourself. Turns out the news is true and not only does Disney get Lucasfilm, they get all that goes with it, including Star Wars. Disney promises to have a new Star Wars movie in theatres by 2015 and says we can expect to see a new film every two to three years. The new Star Wars film, known only as Episode VII at the moment, will be scripted by screen writers and all around Geeks, Eric Stettmeier, Reis O'Brien, and John Sholtz. Ha! Wouldn't that be a kick in the head. I can only wish. I guess this should be no big surprise in a way, as so much of the Star Wars property can be seen at Disneyland theme parks with Star Tours, The Jedi Training Academy, Star Wars Days, and even Indiana Jones. "It's now time for me to pass Star Wars on to a new generation of filmmakers," George Lucas said in a written statement. "I've always believed that Star Wars could live beyond me, and I thought it was important to set up the transition during my lifetime." It will be interesting to see what becomes of the Star Wars franchise, but one thing is for sure, 2015 is going to be huge for Disney with The Avengers 2 and Episode 7. Not to mention Warner Brothers release of the Justice League that year as well. I am going to be living the dream in 2015. So what does everyone think? Are you excited or scared as hell of what the next Star Wars films will be like? More links regarding the merger. I think I am cautiously excited....or should it be optimistically scared? I am drooling for this! WOW! What a coup! I think this was a very long time coming and should prove interesting what the future holds for this along with Indiana Jones. I am really curious to see what happens with Indina Jones now, but I am thinking that it's done. Unless, they totally recast it. I think this is great news! Star Wars is already overly saturated, so why not add a few movies/characters into the mix? Plus, we could get some more Indiana Jones! I'm up for new movies and TV shows on ABC--bring it on Disney! It should be interesting. I bet the Star Wars TV series happens soon too. I realized yesterday that when Episode 7 is released my youngest daughter will be roughly the same age I was when Episode 4 was released, and that made it even more exciting to me, and got me all misty just thinking about it. Isn't it awesome. My thoughts exactly. I honestly don't know what to think. 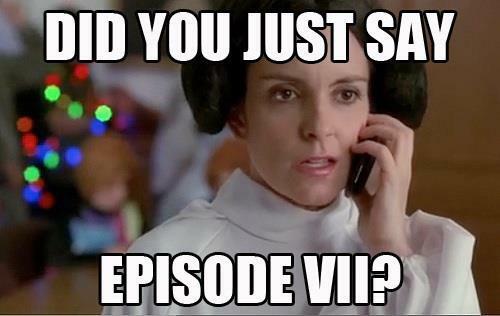 I'm not a fan of the recent Star Wars franchise, save for Episode III. Maybe this franchise, out of Lucas's hands might still be salvaged. I'll take a wait and see attitude. That's all we can do. Wait and see. Maybe we'll be pleasantly surprised. Just might be Dr. Theda. Maybe after next month we won't have to worry about. Hope you are feeling better. I want to be optimistic but Disney has such a bad rep for remakes/sequels. I don't know. At first I was worried, but for me this has the stages of death written all over it with me currently at the acceptance stage.